Morrison Brothers Kick Starts the Summer with These New Products…. 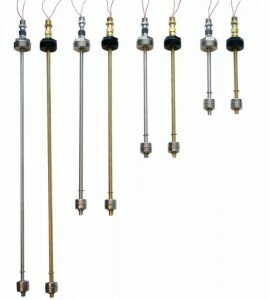 Morrison Brothers is kicking off summer with the release of their new 924/924S adjustable level sensors! These float-activated simple switch devices are compatible with our 918S/D/Q Alarm Boxes and Morrison’s 918AC System Interface. Read the full Model 924 new product announcement here. For your ordering convenience, the 918S alarm box and a 924 (or 924S) sensor can be ordered as an assembled kit. See table below for available kits or view the 918S Alarm with 924 Adjustable Level Sensor new product announcement here for more details. If you would like to learn more about or wish to order the above products, please call us at 1.800.451.4021.